Dr. VanderMolen is a dentist in Springfield, IL. He has been a trusted name in dental excellence in Springfield and Central Illinois for over 30 years. He received his doctorate of dental surgery from the University of Illinois in 1985. He was selected for the Navy's prestigious postgraduate program in Advanced Dentistry at Bethesda Naval Hospital and graduated first in his class in 1986. 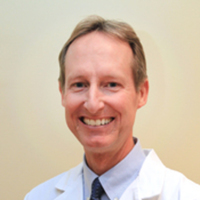 As a member of the Pierre Fauchard Academy, Dr. VanderMolen is recognized as a leader in dentistry. He is also a member of the American Dental Association, Academy of General Dentistry, Illinois State Dental Society, Chicago Dental Society, International Congress of Oral Implantologists, Crown Council, Dental Organization for Conscious Sedation, the American Dental Society of Anesthesiology, and is a Master of the American Dental Implant Association.Dr VanderMolen also recently co-wrote a book with best-selling author, Brian Tracy. The title of the book is The Secret to Winning Big and it's a compilation of writings from various authors, each talking about one specific secret to winning big in life and in business. He and his fantastic team of professionals provide friendly, comfortable, and highly personalized service with a strong emphasis on getting to know each patient. My wife go to Advance dental care as they are open on the weekends. Dr Vandermolen is excellent. Doctor Vandermolen and his staff are always friendly and professional. I actually look forward to my bi-yearly cleaning because I know they are helping keep my mouth healthy. Have gone to Advanced Dental Care for several years. They are always very friendly and want your oral health to be the best it can be. I like Advance dental care and has seen Dr. Schlee most of the times. I saw Dr. Vandermolen once - He is very polite and explain things very well. I have been to Advance dental care many times and have seen all the physicians there. Very happy with care and always on time.Would recommend. Are you Dr. Matt Vandermolen or a manager for this practice? Claim your profile for free! You can update your picture, qualification and description. You can respond to patient reviews for free.